Getting your key stuck in the ignition is more than just annoying; it’s panic-inducing. You can’t leave the key there, someone might steal your car, and you can’t force it out – you could end up breaking it off. So, what can you do to get back on the road in Naperville again without damaging your car? Find out how to get a stuck key out of the ignition with us, and why it might be stuck in the first place, below. If you run into questions along the way, feel free to contact us. Check to make sure the vehicle is in Park before you try to remove the key. 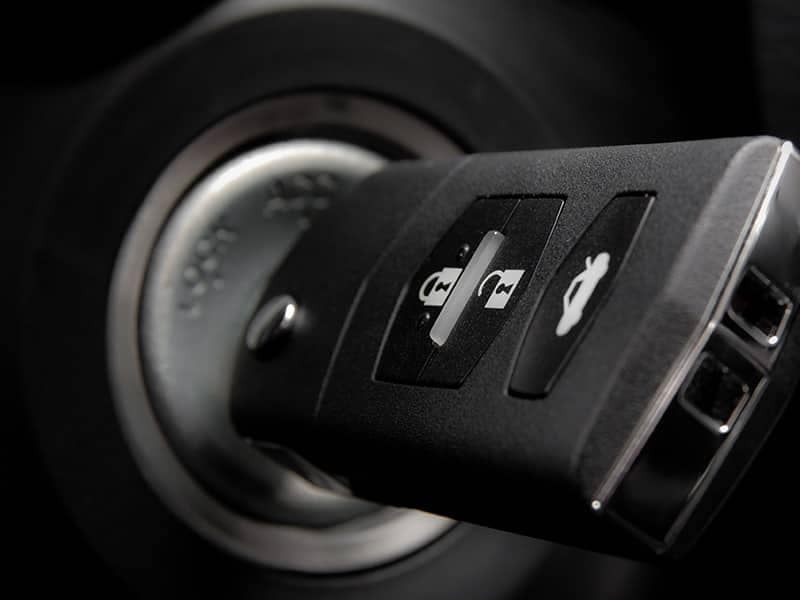 Many modern vehicles will lock the ignition if it’s in any other gear. Press firmly on the brake, engage the parking brake, and shift the vehicle into Park to solve this issue. Turning off the engine while moving the steering wheel can cause the steering wheel to lock and prevent you from removing the key. To fix this, put the vehicle in Park and try wiggling the steering wheel while turning the key. You should be able to remove the key once the wheel unlocks. For newer cars with electronic ignition, a dead battery could mean a locked ignition cylinder. If your battery is dead, call roadside assistance or ask a friendly motorist for help jump starting it. Once the battery has some charge, you should be able to start the engine up and give it time to build a little juice before removing your key. If you’re like many Montgomery residents, you use your keys to do more than start your car – you use them to open packages, too. Tape, glue, and other debris can cause your car key to get stuck in the ignition and can also make it difficult to turn the key to start the car. If this is your issue, pull the key out carefully while wiggling the steering wheel to release the tumblers and, hopefully, pull the debris out too. Once you’ve retrieved it, give it a good cleaning with a solvent such as mineral spirits or WD-40 to keep the problem from happening again. Over years of use, your key and your ignition will wear down, making it hard for spring-loaded pins in the ignition to engage. If your key goes in, but the ignition won’t turn, or you can’t get the key back out, it’s possible the pins are out of alignment. If this is the case, you can make an appointment with the experts at the River View Ford service center. 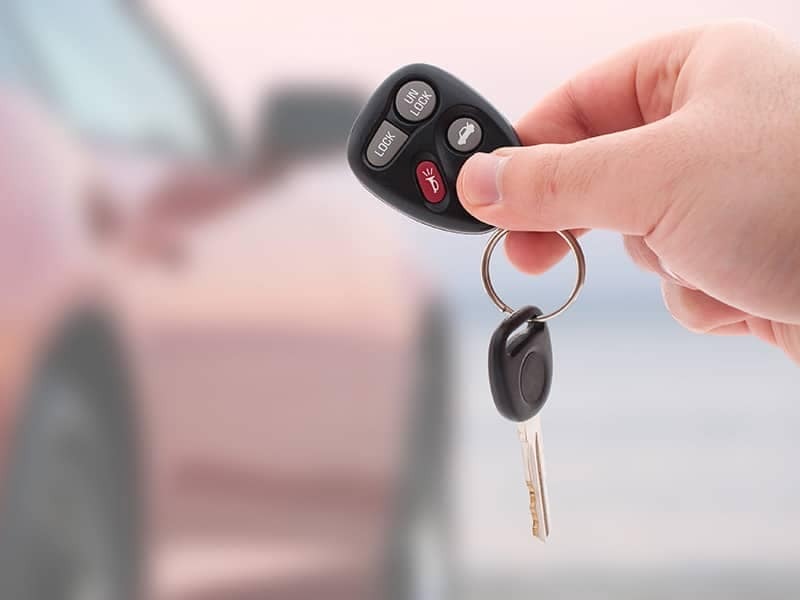 If the above solutions haven’t worked for you and you’re still facing a car key stuck in the ignition, the service center at River View Ford near Yorkville can help. Our certified, experienced technicians have the tools and the know-how to get your key free and help you get back on the road. Need to change a brake light or change your oil next? We can help you with that, too!